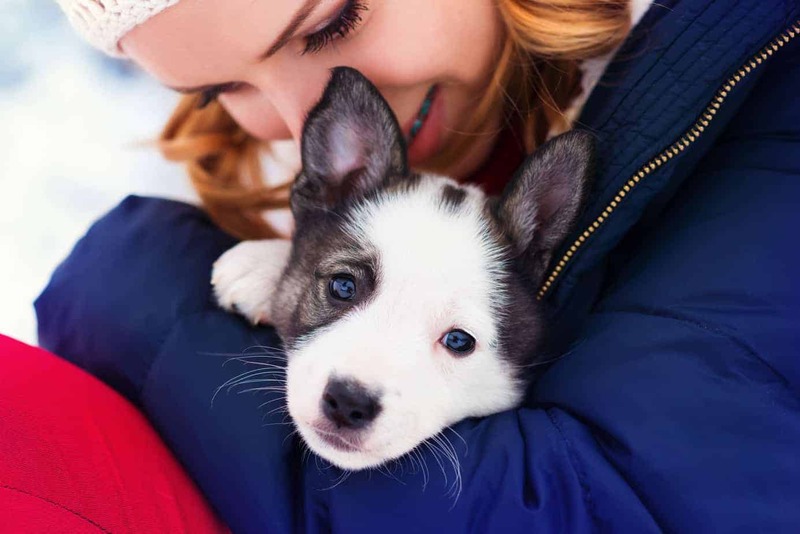 Understanding, and more importantly avoiding, seven fundamental dog socialization mistakes will help you create a happy, healthy, confident dog. Do you think you know your dog? Chances are good you don’t. Most dog owners fail to take the time to understand their dogs. Most people acquire a new dog, spend a few days with them and then take them to socialize with other dogs. They think that most dogs enjoy going to the dog park to play. They fail to understand that not all dogs are comfortable interacting with others. For most dogs, socializing with strangers is difficult and stressful. It’s like forcing a shy person to spend time with an outgoing person. Or worse, to hang out at a crowded party where they don’t know anyone. Before you introduce your dog to other dogs, be sure you understand your dog’s personality. Start slowly. Perhaps introduce your dog to a friend or neighbor’s dog before you toss them into the mix at the dog park. When most people get a new dog, they tend to concentrate on things like potty training or basic obedience lessons. If you get busy with work, it’s easy to let time slip by. But puppies need to be socialized while they are young. Waiting too long can produce a nervous, fearful dog. 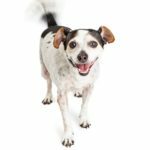 Older dogs can be socialized, but the process gets more difficult as the dog ages. Consider a child who doesn’t get to spend time with older children until he’s 10, 15, or even 20. He most likely will be uncomfortable and awkward because he doesn’t understand social cues or how to make conversation. The same thing happens with dogs. They need to learn how to communicate with other dogs. Dogs primarily use body language. The tilt of the head, the wagging tail and whether they lick their lips or show their teeth all send messages to other dogs. 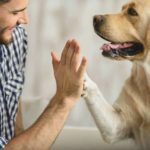 As a responsible owner, you need to supervise dog interactions, especially if you are introducing your puppy to an adult dog. 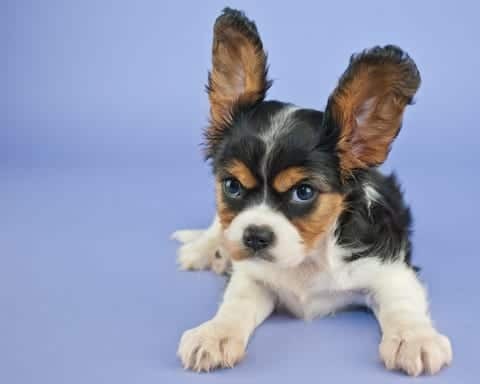 Failing to do so not only could scare your puppy, but the situation also could cause injuries. Let your dog set his own pace. Don’t put two dogs together and expect they will be fine. 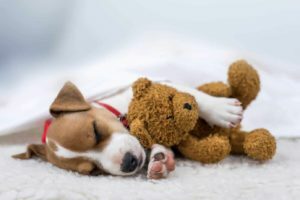 If your dog has had a bad experience, for example, your dog was bitten by an off-leash dog while on a leash, your dog understandably will fear other dogs when they approach. If your dog is small or mid-sized, they also may be nervous around bigger dogs even if they’ve never had an unpleasant encounter. Help your dog overcome those fears. A great way to do that is to take your dog to a puppy kindergarten or basic obedience class. That way you can introduce your dog to other dogs in a controlled atmosphere. You know your dog, but what do you know about another dog walking toward you on the sidewalk? Little to nothing if you haven’t encountered that dog before. Again, follow your dog’s lead. They do know how to read canine body language and if your dog wants to meet the other dog, let them. Just stick close so you can separate them quickly if the encounter starts to go badly. Be cautious about taking your dog to a dog park. Many people bring their furry friends to the dog park without knowing if their pup is an introvert or extrovert. To ensure your dog socializes safely, don’t immediately release your dog. Wait and watch how the other dogs play. 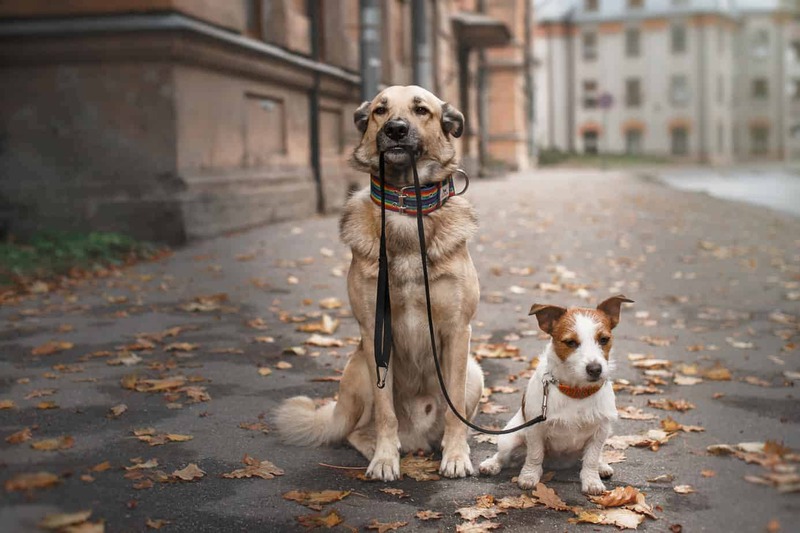 If the dogs are similar in size to yours and appear to have friendly temperaments, you can unhook your dog’s leash. Then let your dog decide when to join the action. But if you see the dogs are rough or aggressive with each other or if one dog is a dog park bully who tries to dominate the others, keep the leash on and even think about walking away. Letting your puppy play with one or two big dogs should be fine. As a rule, must bigger dogs are gentle giants. They have even temperaments and behave well with other dogs and children. The challenge comes when the group at the dog park gets too big. The situation becomes unpredictable and the chance for a dog fight increase. You don’t want your puppy to get caught in the middle. Pack mentality potentially can turn dangerous. Consider how a “good” teenager can be swayed by peer pressure into rogue behavior. The same thing can happen with dogs. 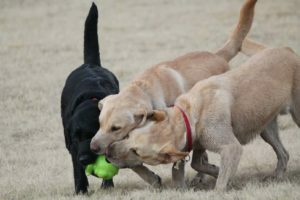 Too many owners think a dog park is an easy option to socialize their dogs. Others fail to pay adequate attention to their dogs at the park. They get engrossed in conversation or spend too much time staring at their smartphones. In truth, the easiest way to socialize your dog is to go for regular walks. You will encounter new situations, people, and other dogs. Take your time and let your dog sniff and explore. Not every walk needs to be a race. Let your dog get to know your neighborhood. As a bonus, your neighbors will get to know your dog. Then if your dog ever gets out, they likely will be willing to help your pup get home. Dogs tend to bark or growl out of fear, especially if they see other dogs or a stranger. You need to teach your dog there’s a difference between meeting a stranger on a walk and recognizing when a stranger is approaching your home. In the first situation, you don’t want your dog to bark or growl. With the second, you might want to get a warning about a potential threat. 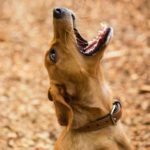 When your dog barks or growls while walking, stop and make the dog sit. If the dog continues to growl or bark, give a stop, look at me, or no bark command. If you can, enlist the stranger’s help. That person might be willing to meet your dog. Have the stranger let your dog sniff his hand. If your dog is friendly, the stranger can then pet the dog. If you have any treats along, ask the stranger to give your dog a sit command. When the dog obeys, give the dog a treat. It’s not healthy for your dog to fear every stranger you meet. But if your dog usually is friendly and then in a rare case seems nervous or protective of you, pay attention. The other person likely is harmless, but your dog sees them as a threat. If that happens, give the stranger a little distance. Avoid making dog socialization mistakes. Never force your dog to socialize with an unfamiliar dog. Know your dog and let them set the pace. Understand and respect your dog’s personality and boundaries. If you spent time socializing your dog as a puppy and they usually are friendly, pay attention when they seem uncomfortable or nervous. Chances are good that following their lead will keep you both safe. 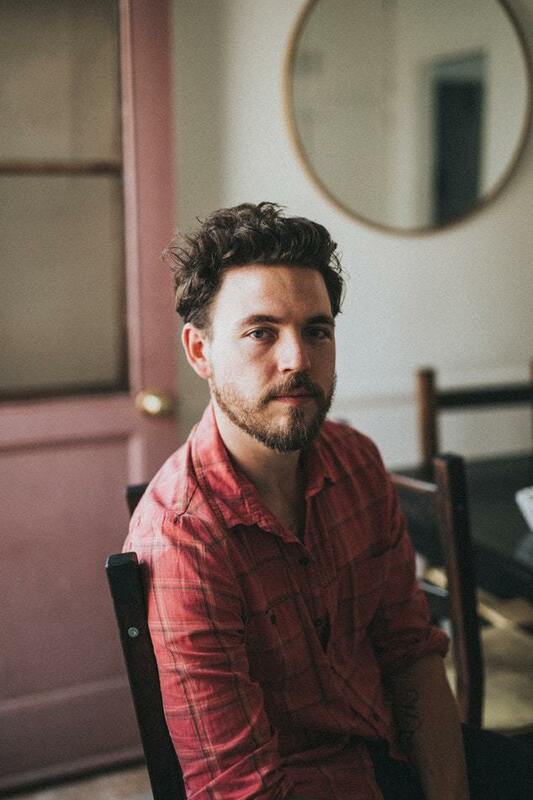 Scott Mathews is a social media marketer and a researcher at Best Term Paper. 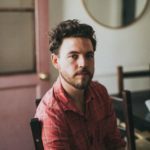 He also has contributed writing to the academized review. Mathews helps students with their assignment writing work and has written superior dissertations at Pro Essay Writing Company and RushMyEssay. Mathews also contributes content to easy essays. 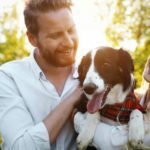 *DogsBestLife.com participates in the Chewy Associates Program, an affiliate advertising program designed to let our site earn fees by linking to Chewy.com. Early puppy socialization involves positive and pleasant social interactions and careful exposure to certain environments. 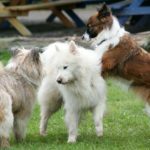 Why are some dogs aggressive?